Modern orthodontics have helped individuals straighten teeth for decades now. While they have set an industry standard, they are not without their setbacks. For one, many people do not enjoy having a “metal mouth” or changing their brushing and eating habits, which traditional braces require. Thankfully, when braces do not meet your needs, Invisalign fills the void. Learn how Dr. Hornstein uses a series of clear aligners to straighten teeth safely and quicker than traditional braces! Invisalign consists of a series of clear plastic aligners that use gentle force to shift teeth and their underlying structures. This is much like traditional braces, except there is no metal hardware used whatsoever to complete treatment. During your consultation, Dr. Hornstein will examine your smile and look for imperfections Invisalign can fix. These typically include crowding or rotated teeth, gaps and even uneven bites! He will collect diagnostic images and X-rays and use them to create your custom alignment trays with Invisalign. After the entire series is fabricated, you can begin treatment. Throughout the process, patients wear one set of trays for about two weeks at a time, only removing to brush, floss and eat meals. Each pair must be worn for at least 20 to 22 hours per day in order to achieve optimal results in the shortest amount of time possible. Once your treatment is complete (averaging about 10 to 18 months), you will wear a retainer to prevent your new smile from shifting back to its original state. Invisalign offers many benefits you cannot expect from traditional braces. For one, Invisalign takes far less time to complete; traditional braces require a minimum of two years of wear and can take as long as three years to complete. Aligners are made to be transparent so you don’t have to worry about changing your appearance during your treatment. This makes them ideal for both teenagers and adults who want to maintain a professional image. Just make sure to keep them clean so they maintain their transparent appearance. Finally, Invisalign does not require as many visits to the office to manage. Instead of seeing the dentist every month like you would for traditional braces, you only need to visit once every six to eight weeks to ensure the aligners are shifting your teeth properly. Who Should Consider Invisalign Treatment? Invisalign is ideal for patients of all ages. What matters most is the current state of your oral health. For example, those with tooth decay or gum disease will need to have it treated before receiving Invisalign treatment or any other cosmetic services. Furthermore, those who need to solve severely uneven bites or misaligned teeth may want to reconsider traditional braces as Invisalign can only do so much. The best way to find out which treatment is best for you is to schedule an Invisalign appointment at the Center for Advanced Dentistry today. Dr. Hornstein sees patients from the Beachwood, Cleveland, Shaker Heights, Solon, Pepper Pike and nearby Ohio neighborhoods. To inform patients further on the details of Invisalign, we have included a few of the most commonly asked questions our office receives. We hope you consider them before attending your next consultation! Why Should I Feel Confident about Invisalign Treatment? Not only has Invisalign been treating patients with crooked teeth for decades, but it has also been used by over 6 million people, including over 1.4 million teenaged patients! 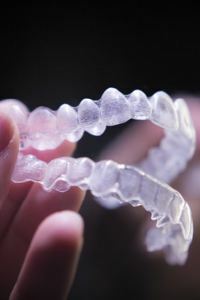 Invisalign also utilizes a proprietary material known as SmartTrack, which works to shift teeth more predictably and faster than other clear aligner treatments. The plastic is made of FDA-approved, medical-grade, BPA-free thermoplastic polymers for optimal biocompatibility. Of course, our office can perform tests to confirm how your body will react to the material prior to wearing if needed. 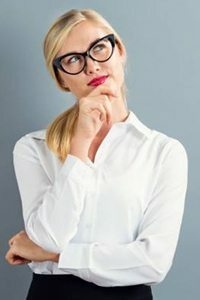 What If I Have Had Braces or Other Types of Dental Work? If you have already completed orthodontic treatment via braces but experienced a relapse after the fact, Invisalign can easily correct simple and complex problems that appear. However, if you currently have veneers or crowns, you will need to have a thorough examination performed prior to starting Invisalign. Furthermore, Invisalign cannot shift bridgework as treatment is meant for shifting teeth individually. If you currently wear braces, we may be able to provide Invisalign treatment that works in tandem with your current orthodontic plan. How Will Invisalign Treatment Affect My Life? As you wear your initial pair of aligners and eventually transition to the next pair in the series, you may experience minor discomfort during the first day or so as your teeth begin to adjust. This pressure is normal and indicative of them effectively shifting your teeth. Your teeth may also feel loose when you remove them, but this is also normal as the gum tissue is reforming around the new positions of your teeth. With that said, aligners are designed to be removable for oral care, eating and drinking beverages other than water. You should always remove them as needed to prevent damaging your aligners or interrupting your treatment time. Clean your aligners using Invisalign’s own blend of cleaning crystals, which are available in our office. After letting them soak in the cleaning solution and cold water for about 15 minutes, rinse them off and brush them with a soft-bristled toothbrush to remove loose plaque and food debris. Do not use hot water to clean them as this can permanently warp their shape and interfere with treatment. If either one of your aligners is lost or damaged, you will need to order a replacement from our office. What Happens When I Am Done with Invisalign Treatment? After treatment is complete, it is crucial that you wear a retainer to keep your teeth from shifting back. Teeth are most susceptible to shifting back to their original position immediately following treatment, so you will need to wear it as directed. The retainer is provided through our office and custom-made to fit your mouth, much like your aligners. To start, you will wear the retainer full-time, then eventually only wear them at night.